How accelerator programs can give a boost to energy entrepreneurs—and the clean energy transition. Being an energy entrepreneur is even harder than in other sectors. Accelerators can help. What is an accelerator? How is it different from an incubator? What's the relationship between accelerators, entrepreneurs and the broader community of leading corporations and investors? Is joining one a good idea? Those are some of the questions the new book Accelerate This! seeks to answer. 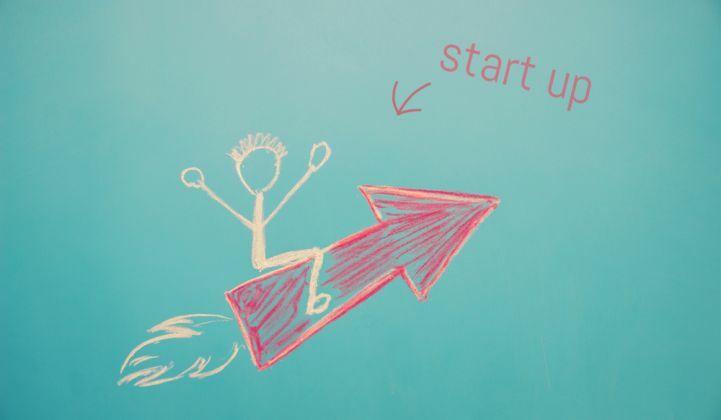 “It's a super not-boring guide to startup accelerators and clean energy entrepreneurship,” said author Ryan Kushner, who’s spent a good portion of his career working with accelerator programs focused on clean energy and associated fields. Kushner was tapped to write the book by New Energy Nexus, a global network of clean energy incubators and accelerators founded by the California Clean Energy Fund (CalCEF), and tasked with eliminating confusion around the accelerator process, in hopes of accelerating the shift to a low-carbon economy. Additional sponsors include the Asia Development Bank, the World Wildlife Foundation, the World Bank and UK Aid. The book is really targeting two audiences: anyone who wants to learn how to create and grow a business, and the people who run accelerators and may not be aware of best practices outside of their organization. The takeaways and data featured in Accelerate This! are based on a survey of 32 accelerators from around the world, as well as direct interviews with an additional 20 programs within and outside of the cleantech sector. Research was also pulled from the Global Accelerator Learning Initiative. As a result, the entire ecosystem of accelerators is represented in the book to some extent. “What I wanted to do with the book was really dig into clean energy, but also go well beyond it to get outside of the bubble and acknowledge, humbly, that there's a lot of knowledge and experience that's not within our little bubble of clean energy, which is about 3 percent of the entire startup ecosystem,” said Kushner. But why focus on accelerators? A big reason is that there are simply a lot more accelerators today than ever before. 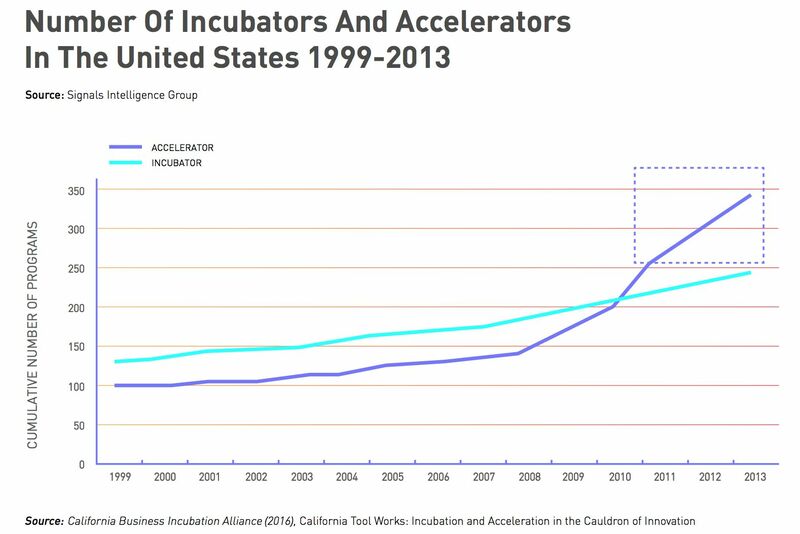 Over the past decade, the number of accelerators in the U.S. has grown by about 50 percent per year. The space has become a lot more crowded since pioneer Y Combinator — one of the most successful accelerators in the world — launched in 2005. And that’s a good thing, because data shows that accelerators are great tools for solving problems. But at the same time, the rapid proliferation of accelerators means there is a significant amount of skepticism. When he first launched the book project, some of the initial questions Kushner received from friends and colleagues were about accelerators victimizing startups in some way and how they could be more transparent. “At the end of the day, accelerators provide a couple of things of value: They find companies and they vet companies,” said Kushner. For that reason, an accelerator’s reputation is important. They have to build trust with startups and outside partners, like utilities. Plus, the more effective the program is, the more effective participating companies will be, “which means more impact on the world,” said Kushner. So, what is an accelerator? 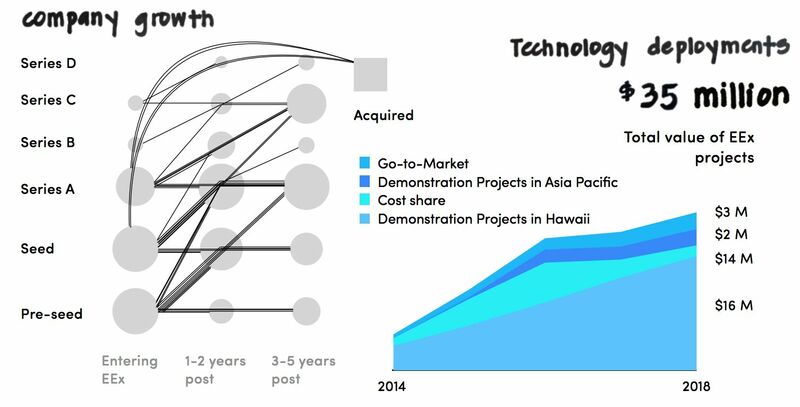 Accelerators are on the rise. But what are they, exactly? Incubators, in contrast, are typically for earlier-stage companies. Participants are accepted on a rolling basis and function a lot like co-working spaces by charging for desk space, rather than doing equity deals. Incubators offer skills training, and connections to mentors and investors. A lot of the value stems from being in the space and learning from the community. Prizes are their own separate category. These programs have a unique model that generally awards one or a small group of companies with some combination of money, services and a PR boost. Prizes are often dedicated to a specific mission. XPrize is one of the best-known prize programs in existence. Each XPrize competition is sponsored by a company or foundation with the aim of solving a particular vexing issue. The NRG COSIA Carbon XPrize, for instance, is focused on converting carbon dioxide emissions from power plants and industrial facilities into valuable products like building materials and alternative fuels. Kushner acknowledged that these definitions aren’t perfect, because this is an evolving space and lines can get blurred. But these descriptions are useful. If you’re an entrepreneur, it’s important to know exactly what kind of program you might be getting into. Why? Well, the money piece is a big part of it. Equity is the most common investment instrument among accelerators, which can be daunting because letting an outside party play a role in one’s startup baby “feels so darn personal,” writes Kushner. Then there’s the quality of a program and whether it’s going to be a waste of time that a startup doesn’t have. There’s also the risk of getting bad advice or not being understood by program leaders. While these are all important things for a startup to consider, the upsides are important to note too. Accelerators can be especially valuable to clean energy startups because energy is generally a harder industry to break into, said Kushner. Several accelerator programs have had great success in getting startups past the typical industry barriers. Elemental Excelerator, for instance, has built strong relationships with both startups and outside partners, which has enabled participants to complete at least 56 demonstration projects now valued at more than $35 million. Outside partners include the U.S. Department of Defense, Hawaiian Electric Industries, Tokyo Electric Power Company Holdings, Inc. (Tepco) and GE Ventures. Plus, many EEx portfolio companies have gone on to raise additional capital. As of July, participants had raised $350 million in follow-on funding, after the accelerator’s $22 million in initial funding. More than half of EEx’s portfolio companies were generating revenue as of July. Since then, the accelerator has announced a new cohort, bringing its portfolio to 82 companies. Source: EEx July 2018 performance report. The accelerator program Free Electrons was designed to be customer-driven from the outset, with backing from eight global power utilities (which has since grown to 10). Each of these utilities was coping with some sort of existential issue and searching for ways to innovate. The challenge, as outlined in the book, was to get eight very different utilities with varying levels of experience in working with startups all on the same page. Ultimately, the program helped connect utilities from Japan, Singapore, Australia, Ireland, Germany, Ireland and Portugal with 12 cleantech startups from around the globe, and unlocked about $10 million in investments and pilots. While they help facilitate startup growth and take a cut in the process, accelerator programs themselves aren’t great at making money. The cash-for-equity model receives a lot of press and attention, especially when a program like Y Combinator makes a big exit. But it’s a tough way for most programs to build capital when you consider that 90 percent of startups fail. Coupling an accelerator program with an outside fund could be a mutually beneficial way to address the money flow issue, according to Kushner. 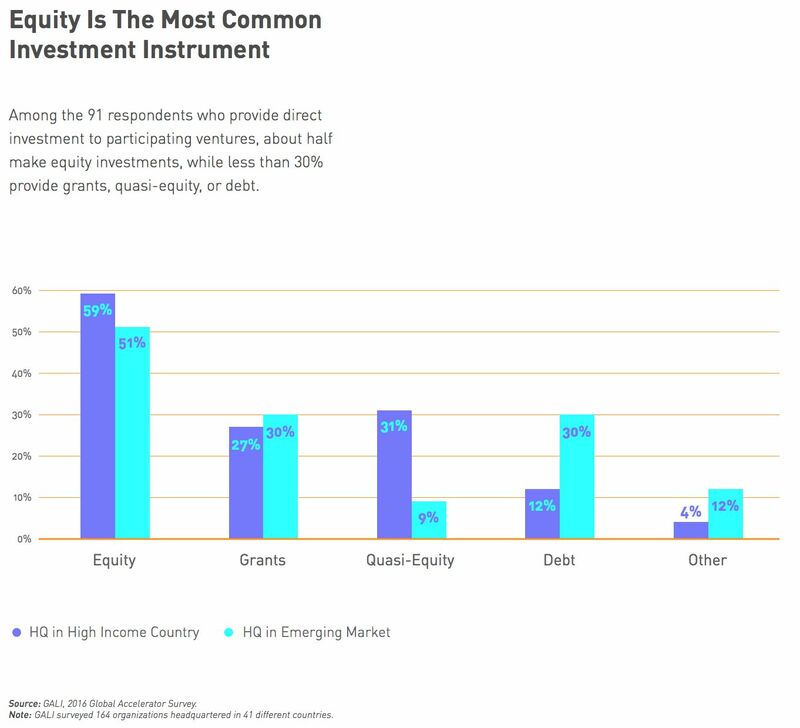 In this scenario, an investment fund would pay a fee or a percentage of the fund to the accelerator for services that fund managers and consultants would typically do, things like networking, conducting research and vetting companies. But in this case, the fund gets the added value of the accelerator platform, once the startups come through the door. But what about the startups that don’t make it through the door? One of the things Kushner is most passionate about is how accelerators can serve the companies that don’t make it into a program. Why care about the rejected? Because those relationships are still valuable. Consider that Y Combinator has a 1.5 percent acceptance rate, making it harder to get into than Harvard (which has about a 5 percent acceptance rate). The remaining 98.5 percent of companies have spent time on their application and may hold potential, but effectively fall off the radar after a cohort is selected. Kushner notes in the book that there are ways to serve the rejected, however, while also supporting the long-term viability and thought leadership of the accelerator. In Y Combinator’s case, the accelerator created the digital community called Hacker News. It’s effectively a comment board, but it maintains YC’s relationship with entrepreneurs and continues to support the broader ecosystem of innovators. “Serving the rejected, I think, is just a way to look at the whole ecosystem in a more holistic way,” he added.